Solvay's new waterborne Halar ECTFE coating system broadens metal corrosion-prevention applications for the chemical processing industry. The coating system is comprised of a high-adhesion primer and topcoat and is easily applied using standard liquid spray equipment. Solvay's Halar ECTFE powder coatings have been used for corrosion prevention for over 40 years for equipment in a range of industries including acids, mining, pulp and paper, pharmaceutical, food and beverage, and semiconductor, among others. The new waterborne Halar ECTFE liquid coating tech expands the range of end-use applications to those that are difficult or impossible to powder coat. This includes complex shapes, uneven surfaces, oversized vessels, pipe interiors, and tanks and containers. Moreover, it provides engineers an alternative protective metal coating option to corrosion-resistant alloys (CRAs). The SCHUNK Co-act EGL-C long-stroke gripper is a milestone on the way to a comprehensive human/robot collaboration (HRC): It is the world's first long-stroke gripper developed for collaborative operation. 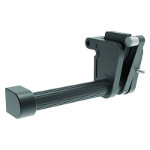 It achieves high gripping forces up to 450 N (handling weights beyond small parts assembly) and combines them with a long stroke of 42.5 mm per finger. The intelligent 24-V unit is suitable for handling workpiece weights up to 2.25 kg and can be flexibly used in a wide range of applications. The SCHUNK developers are particularly focused on the automotive-related supply industry, carmakers, and machine building, where powerful grippers may be able to achieve rapid success in HRC applications. 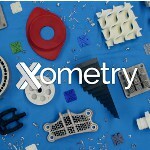 Xometry, the world's largest digital manufacturing marketplace, recently announced that it has received ISO 9001:2015 and AS9100D certifications. These certifications are among the industry's most rigorous and reflect the company's commitment to quality. ISO 9001 is the world's most widely recognized quality management standard and helps organizations to meet the expectations and needs of their customers. The AS9100 standard goes beyond the requirements of ISO 9001 to meet the rigorous demands of the aerospace and defense industries. If you're told to walk the plank these days, you may find yourself walking on plastic. SABIC recently introduced its STADECK heavy-duty panels to the Americas. These high-strength but extremely lightweight panels are used for scaffolding and numerous other applications in the building and construction industries. 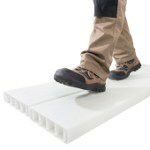 They are made from glass fiber-reinforced thermoplastic resin and are up to 60 percent lighter than wooden planks, saving not only your back but also the gas or diesel it takes to tote heavier support materials around. They also never rot or corrode. Micro Plastics introduces its new 300-page catalog #41 containing thousands of fastening solutions for engineers and product designers. Find hundreds of new problem-solving products including Spacers, Washers, Clips, Clamps, Ties, Bushings, Screws, Nuts, Rivets, and Plugs. 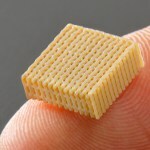 Micro Plastics specializes in Nylon threaded fasteners, but the company also offers extensive product lines for wire management and circuit board hardware. Samples are available upon request. 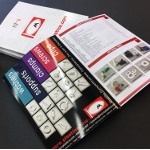 Check out the new online catalog. 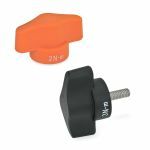 JW Winco, a leading supplier of standard industrial machine components, has now made available EN 5320 Plastic Torque Limiting Wing Nuts, which are used when manually applied torque is to be limited. Turn clockwise, and the torque of the wing nut triggers an "over-engagement" when the specified torque is reached. When tightening, this will ensure the maximum permissible torque is not exceeded. Turn counter-clockwise, and the torque needed for loosening will always be transmitted properly. The technopolymer plastic is glass fiber reinforced and temperature resistant up to 176 F (80 C). The wing nuts are available in either a black matte or orange matte finish. An aluminum version (GN 3663) is also available. ICOMold has partnered with a professional design service with a large group of designers who specialize in designing for injection molding. If you need to get a quote but don't have a 3D CAD model (or need your file modified, repaired, or converted), ICOMold is now offering these services through its design partner ZVerse. To help customers with an accelerated route to market for 3D-printed PAEK and PEEK parts, UK-based Victrex has secured a multi-million-euro investment in Dutch 3D-printing company Bond High Performance 3D Technology. What's significant is that Bond's technology is capable of printing complex, functional parts made of PAEK/PEEK with excellent mechanical properties, including in the z-direction. This enables the additive manufacturing of high-strength, isotropic parts with properties comparable to conventional molded or machined PEEK parts. 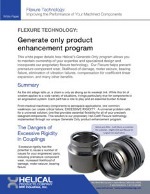 Discover how to eliminate vibrating failure, prevent premature component wear, prevent motor seizure, and stop bearing failure by incorporating Helical Products' flexure technology into your machinery components. Learn more by downloading our white paper. In today's digital world, mechanical components such as metal bellows serve as an extremely reliable mechanism to gather information. The movement of Servometer® electrodeposited metal bellows under hydraulic or pneumatic pressure (internal and external) can create the information needed for a system w/o electricity. 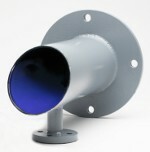 Using bellows technology; temperature, gauge, barometric, and differential pressure can be compensated for. With miniature sizes available, Servometer bellows can be added to instrumentation and manifolds of almost any shape or size. Smalley Wave Springs offer the unique advantage of space savings when used to replace coil springs. By reducing spring operating height, wave springs also produce a decrease in the spring cavity. With a smaller assembly size and less material used in the manufacturing process, a cost savings is realized. Over 4,000 springs available from stock or utilize Smalley's No-Tooling-Cost™ manufacturing process on custom designs, available from .157" to 120". Samples available for testing. Are you a first-time molder of PEEK? Or maybe you've tried molding it and have run into problems? This article from Victrex presents five important considerations in the injection molding process that can help you avoid the need for troubleshooting when molding PEEK polymer. Following this advice can also help you optimize the full potential of this high-performance material. Read the Victrex tips article. 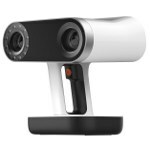 Exact Metrology is proud to announce the availability of its Artec LEO 3D scanner, the first scanner to offer onboard automatic processing with an integrated touch panel viewer. 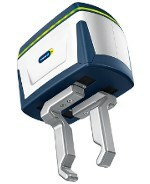 This frees users from being tied to a computer for data capture. The scanner has a 3D reconstruction rate of 80 frames per second, making it the fastest professional scanner on the market. With its large field of view, Artec LEO can scan and process large objects and scenes quickly and accurately, and it boasts a data acquisition rate of up to 4 million points per sec. 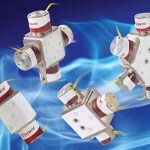 NIV series gradient valves feature multiple two-way, normally closed solenoids connected around a central body. This unique design provides significant reduction in internal volume with enhanced mixing capabilities. Each actuator operates independently, allowing for flow of various media to be mixed or for one media to be split into multiple streams. These multi-channel gradient valves are useful for solvent selection, stream splitting, flushing, and other automated applications. Consumer-oriented 3D printers showed up on many holiday wish lists last year, but purchasers should be aware of research conducted at Georgia Institute of Technology that highlights how the popular low-cost devices could pose a health risk by harming indoor air quality. A recently completed multi-year research project, sponsored by UL Chemical Safety, was aimed at characterizing particle emissions by the printers in a controlled environment. The researchers found that the printers generate a range of different-sized particles, including ultrafine particles (UFPs), which have the potential to be inhaled deep into the human pulmonary system and impact respiratory health. 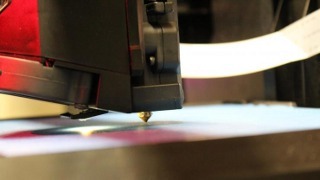 "These printers tend to produce particles that are very small, especially at the beginning of the print process, and in an environment without good ventilation, they could significantly reduce indoor air quality," said Rodney Weber, a professor in Georgia Tech's School of Earth & Atmospheric Sciences who led the research. Many of the findings were published in 2018 and 2017 in Aerosol Science and Technology, and other studies are forthcoming. The research endeavor revealed that more than 200 different volatile organic compounds (VOCs), many of which are known or suspected irritants and carcinogens, are released while 3D printers are in operation. Several factors (including nozzle temperature, filament type, filament and printer brand, and filament color) affected emissions. Meanwhile, extrusion temperature, filament material, and filament brand were found to have the greatest impact on emission levels. "We found that one of the overriding principles is the temperature of the filament," Weber said. "If you use a filament that requires a higher temperature to melt, such as ABS plastic, you produce more particles than PLA plastic filaments, which require lower temperatures." 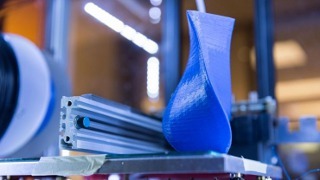 As a result of the research, UL is advocating for a complete risk assessment of all 3D printers, taking into account dose and personal sensitivity considerations as well as the publication of more marketplace information about each printer to help consumers choose safer options. "Following our series of studies -- the most extensive to date on 3D-printer emissions -- we are recommending additional investments in scientific research, product advancement to minimize emissions, and increased user awareness so that safety measures can be taken," said Marilyn Black, vice president and senior technical advisor at UL. Based on the scientific research conducted with Georgia Tech and further collaboration with other stakeholders, UL developed an ANSI consensus standard for testing and evaluating 3D-printer emissions to set emissions targets for 3D-printer manufacturers. UL/ANSI 2904 is in the final stages of completion and should be available in the coming weeks. This story was adapted from content provided by UL Chemical Safety.